The proposal is organized into 7 easy stages, from 6 to 12 km, which aren’t very steep. Each one of the stages has a connection to a train station at the beginning and at the end, so that hikers can do a single stage or more than one in a row, as they prefer. 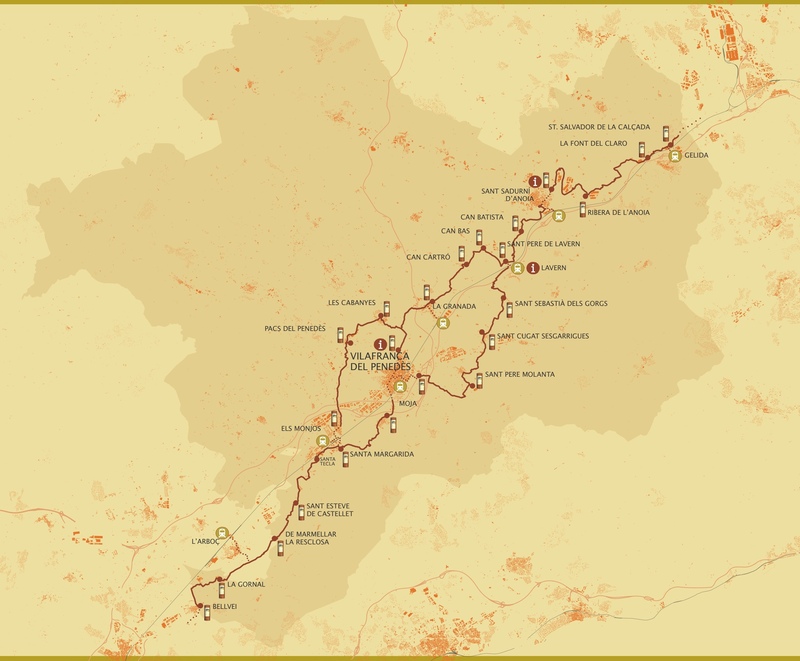 So this is a series of walks that can be made in either of the two directions, on foot or by bicycle, and taken together, they allow one to follow the length of the backbone of Penedès County. There are two alternatives to the main route. One variant goes around the county capital by way of Pacs del Penedès to Santa Margarida i els Monjos and the other arrives in Vilafranca from Lavern-Subirats by way of Sant Sebastià dels Gorgs, Sant Cugat Sesgarrigues, and Sant Pere Molanta.